A couple weeks ago I discovered something neat in Microsoft Access. 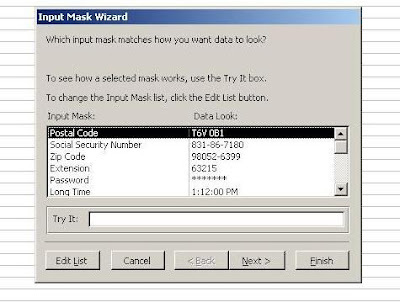 Then, if you are accessing Microsoft Office help online, it gives you a different set of examples. 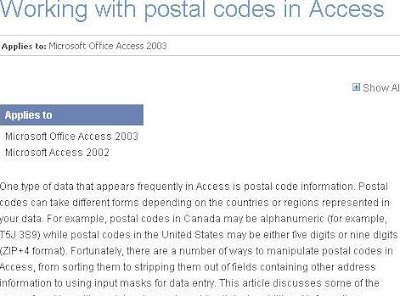 Notice something about the postal codes? Both of them are from Edmonton. T6V 0B1 is up on the northside of the city near St. Albert, while T5J 3S9 is right in the heart of downtown. Pretty neat, huh?